Once upon a time, there were two young girls, closer than sisters, who dreamed of greatness. When they played together (as they did every day), Gytha always pretended to be an artist, raising glorious sculptures of stone and glass, and Dagmar pretended to be a famous physician, making brilliant discoveries each day and then spending her nights in the slums, secretly healing those too poor to afford a physician’s fee. Finally, Dagmar was persuaded. They joined hands, left palm to left palm and right to right, and spoke the words the book offered. Each felt a sharp pain and Dagmar almost cried out, “No, stop, I didn’t mean it,” but the rite was done; the transfer was accomplished. Gytha, with her excess of Air, could stretch out her hands to melt stone and sculpt it. Dagmar, with her excess Earth, now had the gift of healing. Air is the element of change. Gytha, having brought an excess of change into her life, could not bear to stay in her home village. From one of the high peaks near their village, they could occasionally see dragons, tiny black specks against the distant horizon, and Gytha had always envied their freedom; now, she saw that she had never needed wings, only the willingness to fly away. She tried to persuade Dagmar to come with her, but Earth is the element of stability, and Dagmar could not bear to go. “I will visit often,” Gytha said as she packed her bag. “But you promised that we would stay together,” Dagmar said. “How can you possibly expect me to go?” Dagmar asked. Gytha walked through night and day to one of the great cities, where her art and magic quickly earned her great acclaim. But like the wind, she could never stay in one place for long. She travelled restlessly, leaving in her wake beautiful buildings, stone like ribbon, and a trail of broken hearts—the first of which was Dagmar’s. Dagmar, in her home village, got what training she could in healing, then married a man who needed her, and had four children, two girls and two boys. She knew that she’d made a terrible mistake, but had no way to fix it: for Gytha, there could never be anything but change, but for Dagmar, there could be no change at all. (Other than parenting—but once you’re married, children have a tendency to arrive on their own, unless you’re careful.) Each, in her own way, was trapped. Gytha would never realize that the cause of her unhappiness was the imbalance in her own heart that she’d longed for so fiercely. Dagmar, without Air to drive change, could never take the steps she needed to shed the parts of her life that began to eat her, piece by piece. Years passed. Dagmar delivered babies, splinted broken bones, brewed tisanes. She fought with her husband—the same fights, over and over, every time. Her children grew up, and Dagmar’s hair began to go gray. Every once in a long while, a traveler would bring news of Gytha to the village—her glorious cathedrals, her honors, her acclaim—and Dagmar would quietly leave the gathering, unable to bear hearing it. Then one day, two of the shepherds carried a stranger into the village, cradled in a thick blanket. They’d found her in a field late one afternoon, when the mountain’s heights had cast everything into shadow. She had no bag or pack, one of her legs was twisted into a strange position, and she was completely naked save for her long black hair. They brought her, of course, to Dagmar. Dagmar closed the door against the gust of damp wind, then made a pallet near her fire, and directed the shepherds to lay the woman on it. “Stay,” she said to them, because she would need to set the woman’s leg before splinting it, and might need their help to hold her still. “I have never learned that skill,” Dagmar admitted, ashamed. Dagmar nodded at the shepherds, and they went back to their flocks. She brought a quilt to cover the woman with. The strange woman watched Dagmar as she brewed a tisane for her and spooned up a bit of porridge. “I can’t pay you,” the woman said, as Dagmar sat down to feed her. Dagmar shrugged. “Few enough people bother.” She glanced around at her house, which had long since fallen into disrepair. “I don’t care to leave,” Dagmar said. Dagmar looked her over again, to see if she’d missed any other broken bones or other injuries. Satisfied, she said, “You may stay here until you heal,” and started preparing dinner. Three of Dagmar’s children were grown and gone, but the one who was still living at home, Madel, was quite curious about the injured woman by their fire, and utterly perplexed at her mother’s lack of curiosity. To Madel, however, Zimeya pretended to be foreign, or perhaps suffering from a severe head injury, and spoke in words Madel didn’t understand; the girl eventually grew bored. She herself had a bit of an excess of Air—not enough to give her magical powers, but enough to thoroughly exasperate her mother at every opportunity—and she spent as little time at home as she could. Dagmar’s husband came home for dinner, and they proceeded to have an argument (in quiet tones, because of their guest) about Dagmar’s decision to treat yet another person who couldn’t or wouldn’t pay her, and about the hole in the roof he had promised six times to repair. (Her husband had a slight excess of Water; he was charming but unreliable, and willing to say whatever he thought would get him out of trouble. Which is why he promised yet again to fix the hole in the roof the next day, even though he had not even purchased the materials.) When the argument had reached its usual conclusion, which is not to say a resolution, he left to join some of the other men of the village at the tavern. Dagmar’s face was red with frustration and suppressed tears, but she brought Zimeya a chamber pot and helped her use it, and then helped her into a blouse that had belonged to Dagmar’s older daughter. Then she propped Zimeya up on her makeshift bed so that she could eat some of the barley and vegetable stew Dagmar had made for dinner, and scrubbed the dishes. Only one with eyes to see would even know about Dagmar’s gift. “You’re clearly a sorceress yourself,” Dagmar said. “I haven’t seen her in thirty-two years,” Dagmar said. She might have said, I haven’t seen her in thirty-two years, four months, and twenty-one days, because she always knew, even when she tried not to think about it, how long it had been since Gytha had left. “I try not to,” Dagmar said. “I leave when news of her arrives, though it always makes its way to me eventually.” Dagmar always felt a sharp pain in her heart at the sound of Gytha’s name. Most recently, the story had been about Gytha’s art rather than Gytha herself; one of the beautiful stone archways she’d created had shown cracks due to strain, and had been taken down lest it collapse on someone’s head. The night after Dagmar heard that story, she’d lain awake, wishing that she could feel some unkind satisfaction at that, but she felt the same lonely ache as always. “Well, at least she’s accomplished things with hers,” Dagmar said, bitterly. Surely not all her creations were collapsing. “I don’t know,” Dagmar said. “I can’t imagine giving up my power and I can’t imagine leaving. Anyway, the apprenticeship program for physicians in the great city down below the foothills does not accept students over the age of thirty, and I passed that milestone a long time ago.” At thirty, she’d had three children, with a fourth on the way. “Even further away!” Dagmar felt a surge of indignation, then, that anyone would throw that out so casually. If it was impossible to imagine leaving her home to spend five years apprenticing in the nearest great city, it was thrice impossible to imagine going to some distant shore she’d never even heard of. Even if Gytha had. Especially if Gytha had. “I come from another country, many weeks of fl—of travel to the south,” Zimeya said. Some days passed, with the unchanging routine of Dagmar’s cottage flowing around Zimeya like ants around a puddle. Dagmar fought with her husband, made breakfast, argued with Madel, washed up. One morning a baby was coming, so she had Madel sit with Zimeya in case she needed anything. Zimeya had stopped pretending she couldn’t understand Madel, though when Madel (who was not worried about being nosy) asked her how she’d wound up naked and with a broken leg in a sheep pasture high in the mountains, she said she didn’t remember. Madel didn’t really believe her but she knew she’d get in trouble if she harangued the patient to tell her the truth, so she pouted a little and dropped the subject. “Are you the youngest?” Zimeya asked her. Madel was half right; Dagmar was half furious. But the other half of her, the side that was practicality and desire for her children to have lives that suited them (as opposed to grief and fear about being left alone once again)—that side of her knew that this was an irreplaceable opportunity. From deep in a trunk, she took out a woolen travel cloak and some uncut leather that one of Madel’s sons could make into a pair of good boots for her. When the boots were ready, they had found Madel some traveling companions heading in the right direction. Dagmar kissed Madel and gave her her blessing, and then said goodbye. The house was very quiet when she was gone. Zimeya shrugged. She could, with a great deal of care and no small amount of pain, hobble now for a short distance using a stout stick. Dagmar had found her some additional cast-off clothes to wear. Zimeya was not a large woman, so several women with grown daughters had outgrown items they were happy to give Dagmar, since most of them owed her fees they were never going to pay, and giving her something they no longer needed made them feel a bit less guilty about it. “You’re welcome to stay,” Dagmar said. She’d become fond of Zimeya, who was pleasant company. She had not opened her heart to Zimeya as she had, decades ago, to Gytha, but that was not terribly surprising; she wasn’t sure she even remembered how. Zimeya’s strength was returning, even though she couldn’t stand for long; she could sit at the kitchen table and help peel vegetables and slice them for stew, and one day Dagmar returned home from stitching up a gashed arm to find that Zimeya had unearthed her overflowing basket of mending and was fixing a ripped hem. Zimaya shook out the skirt when she was done, the gust of air from the fall of cloth making the fire flicker wildly. The hem was straight, even if some of the stitches were embarrassingly large. She picked up a shirt with a torn sleeve and turned it inside out. Dagmar continued working on the sock. “No. I’d brought clothes along, but they got blown away by the same gust of wind that blew me to the ground.” She tipped her head to the side. “I let you believe that I was a sorceress, but it’s not quite accurate to say that I have an excess of Air; it’s more that I am an excess of Air. I’m a dragon. Obviously, I didn’t wear human clothes for my flight to your village. I had intended to put some on, but… well.” She gestured with a spread hand, showing something flying, getting blown off-course, and then crashing to the kitchen table between them. “Oh,” Dagmar whispered. She didn’t want to hear this. Dagmar’s mouth went dry. Of all the news she’d expected to get, hearing that Gytha had died… that was a shock. Zimaya seized her other hand before she could change her mind—left palm to left palm and right palm to right. Dagmar braced for pain, but instead she felt an easing, as if a headache she hadn’t quite been aware of had suddenly gone away, and a loosening. That was all. Once upon a time, there was a middle-aged woman who packed her bags and left the village where she’d spent her whole life, her grown children who had expected her to care for her grandchildren, and her husband and his falling-down house with the hole in the roof. The element of change, as everyone knows, is Air. They say that every now and then when the wind blows in a certain direction, it can bring an excess of Air into people who’ve never been known for foolishness. So close your doors on those days; shutter your windows. Don’t go out onto the mountainside and breathe in the wind and look at the sky. You never know when you might accidentally open your heart. 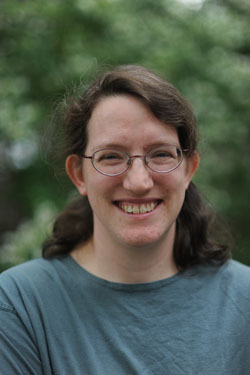 In addition to Apex, Naomi Kritzer’s short stories have appeared in Asimov’s, Analog, The Magazine of Fantasy and Science Fiction, Clarkesworld, Lightspeed, and various Year’s Best anthologies. Her five published novels (Fires of the Faithful, Turning the Storm, Freedom’s Gate, Freedom’s Apprentice, and Freedom’s Sisters) are available from Bantam. She has also written an urban fantasy novel about a Minneapolis woman who unexpectedly inherits the Ark of the Covenant; a children’s science fictional shipwreck novel; a children’s portal fantasy; and a near-future SF novel set on a seastead. She has two e-book short story collections out: Gift of the Winter King and Other Stories and Comrade Grandmother and Other Stories. Naomi lives in St. Paul, Minnesota with her husband and two daughters. Thank you, a beautiful story with an unexpected twist.